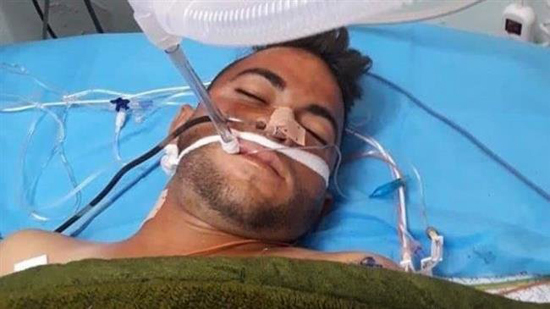 A Palestinian youth has succumbed to the injuries he had sustained when Israeli military forces opened fire on an anti-occupation protest near the fence separating Gaza from the Israeli-occupied territories. Ahmed Khaled al-Najjar, 21, from the Gazan city of Khan Younis died at the Ahli hospital in the West Bank city of al-Khalil (Hebron) on Wednesday evening. He had been shot in the abdomen by Israeli troops during “The Great March of Return” protests in Khan Younis about two weeks ago. Since March 30, the Gazans have been staging weekly rallies near the fence under the banner of “the Great March of Return” to uphold their right to go back to their homes in Israeli-occupied territories. More than 230 Palestinians have died during the Israeli forces’ attacks against the protesters. Nearly 20,000 have also sustained injuries.